Tucked away in the mountains of Malasag, Cagayan de Oro, Mapawa Nature Park is a part of a 2,500-hectare property that is protected, conserved and sustainably managed. With an abundance of breathtaking waterfalls, exquisite views, and lush flora and fauna, Mapawa Nature Park is a natural haven. 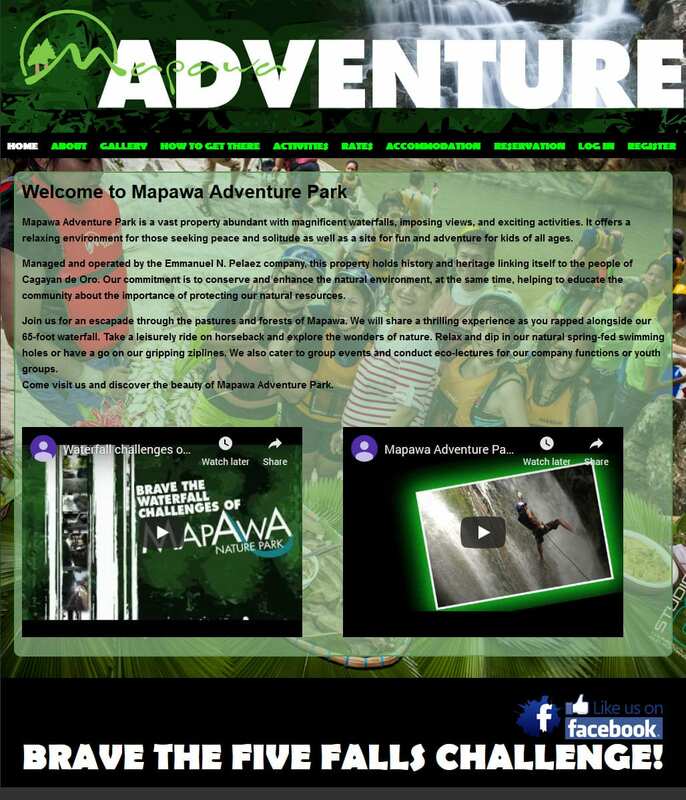 Whether you are a nature lover, an adventure seeker, someone who needs a break from the hustle and bustle of the city, an individual, a family or a big group, Mapawa Nature Park has something for you to experience and enjoy.